From The Daily Toronto Gossip, Toronto, Ontario, Canada, 14 July 1888, page 1. 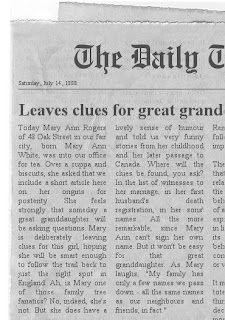 All in fun - following the latest Saturday Night Genealogy Fun prompt from Randy Seaver at Genea-Musings. 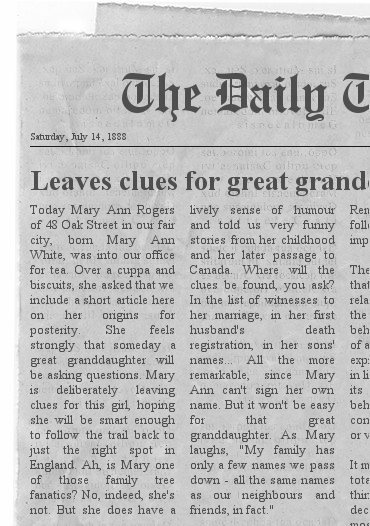 Newspaper clipping image courtesy of the Newspaper Clipping Generator.